Kenya opposition party, wey be Orange Democratic Movement (ODM) don comot hand from all lawmakers wey dey find more money as salary. "We dey for make people dey use sense manage Kenyans money. So we no go fit join dem waste money, or even look like we dey waste resources for di society," na wetin di party talk for statement wey dem release. Even President Uhuru Kenyatta don join mouth inside di matter. Im say e no go allow any lawmaker for di country do law wey go allow dem increase salary again. 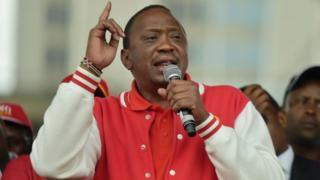 No be today wey di increase in salary for lawmakers don dey cause palava for Kenya and di plan to reduce am go cause tension between President Kenyatta and some of di legislators. Lawmakers for Kenya be among di ones wey dey collect salary pass for di world.